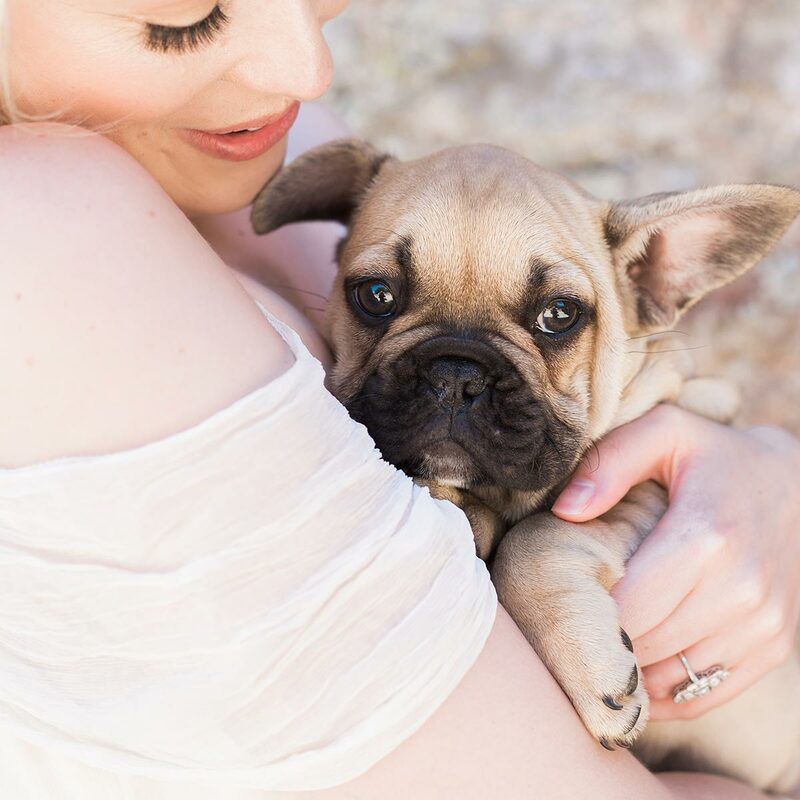 We love the romance of runaway weddings, true elopement weddings just for two – and maybe your dog. Imagine your very own runaway wedding where just the two of you elope. 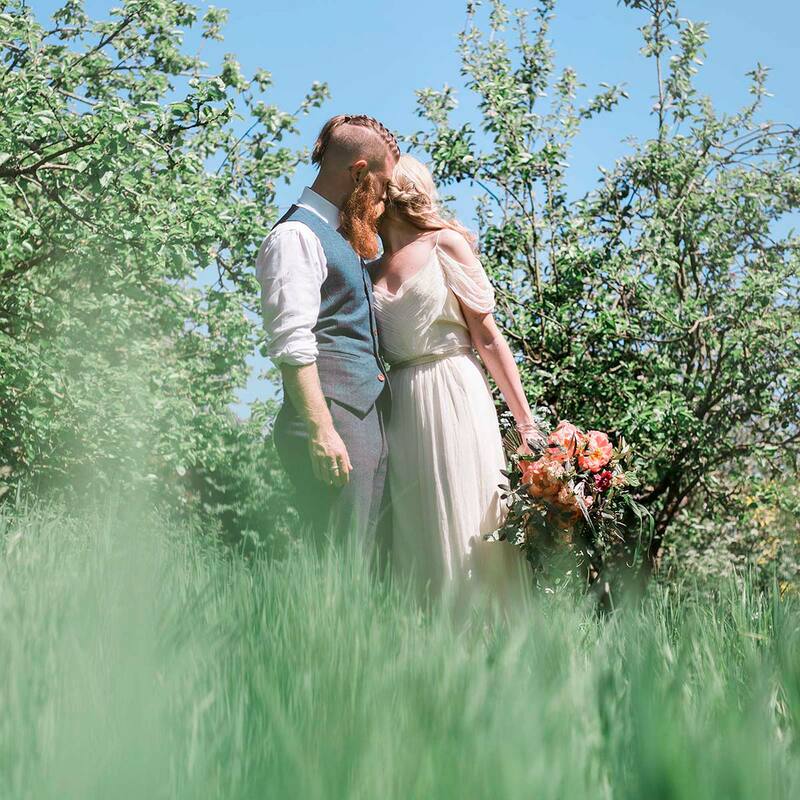 Journey to the West Country where your elopement wedding will take place in the recently renovated 18th Century Round House overlooking the vines. The beautifully landscaped terrace provides a natural bridal walk through the wildflower meadow leading to your ceremony. We’re always delighted to be witnesses at elopement weddings. After your runaway wedding ceremony, enjoy champagne and canapés on the terrace or in the Round House, along with some photography against the breath-taking views of the Devon countryside. 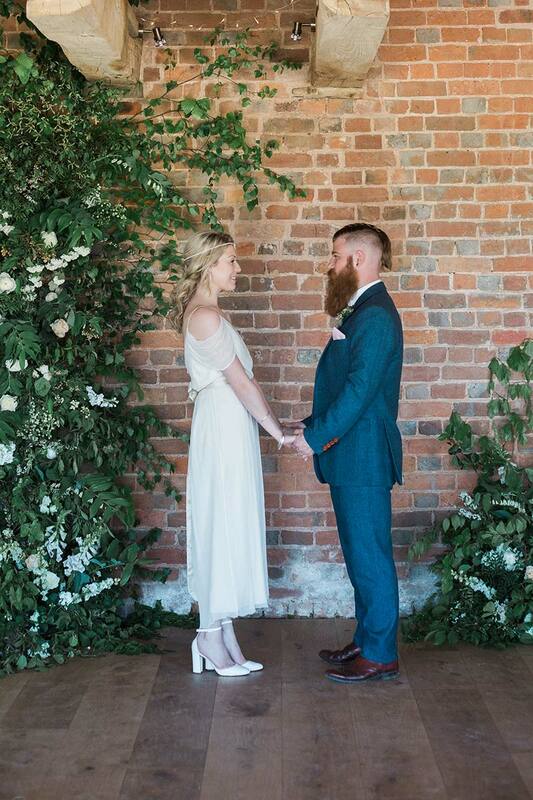 We offer exclusive hire for elopement weddings from £550 plus £30 per person for canapés and Champagne, just perfect for a relaxed wedding day focused on just the two of you. Eloping is the most relaxed, yet special way to get married. Your elopement-wedding day is just about you two and no one else. Indulge in a leisurely breakfast and spend the morning getting ready for your ceremony at your chosen accommodation. You’ll be whisked away in your choice of wedding transport the short distance to Brickhouse Vineyard. Joanna will be there to welcome you, and after a quick chat with the Registrar you’ll be ready for your runaway wedding ceremony in the Round House. It’ll be our pleasure to be your legal witnesses. Your photographer will capture your arrival, your ceremony and stay for an hour afterwards to ensure you make the best of this gorgeous setting for your wedding photography. Follow your ceremony with champagne and canapés and or a picnic, just for two and that view making a day to treasure always. Runaway weddings were never more special. Choosing to elope is not for everyone, we understand that; but then a large-scale wedding that can elicit the stress, money worries is not for everyone either. There are many reasons that an increasing number of couples choose to elope. For some couples eloping is a financially driven decision. The average wedding in the UK costs around £30,000 so it’s easy to see why many couples are seeking out more cost effective alternatives. Other couples choose to elope as they’ve been married before. We work with couples looking to tie the knot for a second time in a completely different way to the more traditional weddings they may have experienced previously. There is also something special about the authentic and intimate nature of runaway weddings that is attracting an increasing number of couples. An elopement wedding lacks the pressure that some couples feel, be it from family, friends or social media, to recreate someone else’s vision of their special day. By contrast an elopement wedding focuses purely on your union and fully reflects your own unique ideas and vision. What’s more, without this pressure you can expect to relax and enjoy every moment. An elopement wedding at Brickhouse Vineyard is by no means a compromise – it’s an upgrade to the wedding day you really want. If you’ve decided to elope to Brickhouse Vineyard here’s what you need to do next. You can get in touch with Joanna to arrange a viewing or reserve your wedding date with us. You’ll need to have a reserved date before you contact the Devon Registrars to book them to conduct your wedding ceremony. You can call them directly on 01392 385070 or email register@devon.gov.uk. They’ll ask you for a £50 deposit on booking. Once you have booked your ceremony with the Registrar, you will let us know and we’ll request a deposit payment, which will secure your booking. Joanna will be happy to discuss your thoughts and plans with you and help you with recommendations for local suppliers to provide all the special little touches that you’d like on your wedding day. In the weeks running up to your wedding the Registrar will be in touch to plan your ceremony with you, and Joanna will finalise your wedding day timeline with you and ensure all the details are looked after for you. Runaway weddings really were never easier.